Saurabh Rana - 3 Point Adventure. RECOMMEND Me Now. Saurabh is into mountaineering and trekking since 2007, when he was 16 years old. Since then he has summited many peaks. His first expedition and summit was Mentok Kangri (6150 m) in 2014, he had gone there as a sherpa to help fix the ropes. After this, he summited Gangotri-III which also had a great deal of learning, he recalls a complete white out during that expedition in which they lost a team member and then spent quiet some time finding him. Finally in 2014, he also summited Stok Kangri (6153 m) two times. 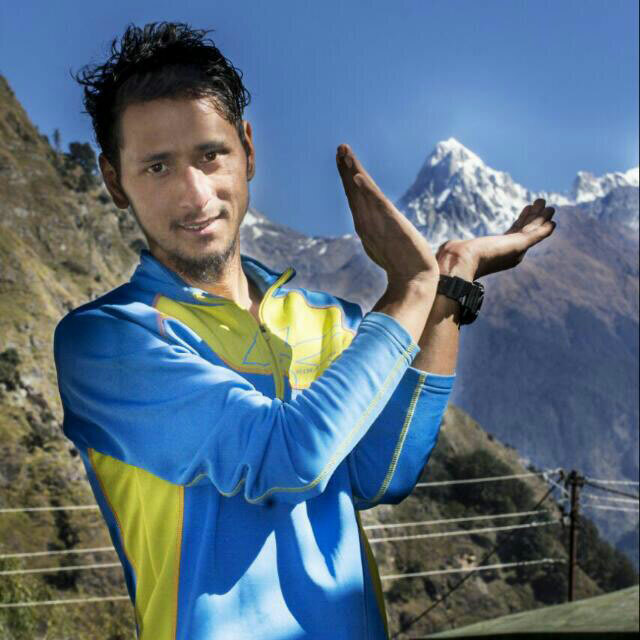 In 2015, Saurabh then summited Bhagirathi-II (6856 m), three time consecutively between July to October. In 2016, He Summited Rudraigaira in May. His attempt to summit Kedar Dome ( 6940 m) failed by 400 meters in June. He says - "There are lots of crevases in Kedar Dome. In the morning the crevases are hard and we can get past them, but while returning back it could get risky"
In 2017, his plan is to do 7000+ meter new peaks. Saurabh says - "I like to mountaineer … I love the feeling we get when we summit. It comes from inside." Saurabh can be a mountain guide for expeditions to 6000 meter peaks. Saurabh recalls that he got into mountaineering, with his first trek to Gaumukh after which slowly his attraction towards mountains kept increasing. Saurabh's family is into farming, they grow Rajmah, potatoes and have few apple trees. He studies in the government school and completed his graduation in Arts from Uttarkashi. His primary motivation to do graduation was to get out of his home and see the world. Saurabh enjoys chinese cuisine, he loves to eat chowmein, momos and soup.